Rosalind Wiseman visits Cannon School on Thursday, October 22 at 7:00 p.m. The dusty stack of parenting books on my nightstand makes me look well-schooled in the art of child-rearing. Just kidding…It isn’t actually there. I fall asleep when my head hits the pillow each night and I’m not sure I know where to start looking for reliable parenting advice anyway. I read in The Cupola that Rosalind Wiseman is coming to Campus on October 22 to talk about her books Queen Bees and Wannabes and Masterminds & Wingmen. I’ve set out to find out for Cougar parents why she is coming and how we can sharpen our parenting skills after she leaves. My search led me to Michelle Alexander, Head of Lower School (not that she needs an introduction), who told me that Rosalind Wiseman has been a fixture in the independent school community for years since Queen Bees was released in 2002. The popular movie, Mean Girls, was actually based on it. Michelle had heard the buzz about Wiseman amongst educators and finally experienced her engaging, intriguing practical insights for both boys and girls through a workshop. Are you unsure if lectures or workshops apply to you as a parent in the middle or lower school? Michelle told me that she sees social dynamics that Rosalind talks about in her books starting very early with children. Getting a glimpse of the road ahead can prepare and give us the tools we need as parents to help our children through each phase of their social life and education. On Rosalind Wiseman’s website she talks about “creating a culture of dignity.” As parents, teaching our children to create this dignified culture requires a level of preparation and commitment to developing our own toolbox. The amount of parenting resources we encounter can be overwhelming. Do you believe the article on Facebook or the e-mail that you receive from PBS? Maybe we need to step away from our screens and sharpen our skills the old-fashioned way. Michelle advises that in the experience of educators, word-of-mouth is the best way to find resources to teach ourselves about parenting. That’s how Rosalind Wiseman ultimately found her way to our campus. If we talk to each other we can uncover strategies that work to help our children through difficult times and even celebrate milestones together. I hope that I’ll see you on October 22 at the Maria DeHaas Speaker Series when Rosalind Wiseman talks to us about the everyday trials of being a child. We were all there once, weren’t we? Let’s meet our friends, plan an evening together, and enjoy this event. I hope that we all leave inspired. Maybe afterward we’ll have a fresh stack of parenting books on our nightstands! 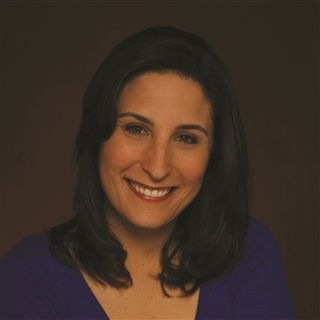 Rosalind Wiseman’s presentation is free and open to the public. Bring a friend!